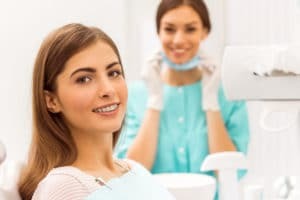 While getting rid of bad habits and starting positive ones is important to your oral health, it won’t reverse the dental shifting that has already happened. For this reason, orthodontists here at Affiliated Orthodontics suggest adult orthodontic treatment. Unlike teens, most adults are able to self-govern themselves to follow directions for maintaining oral health best practices while undergoing orthodontic treatment. As a result, they typically experience better, faster results. I always feel welcome. I have two still in orthodontics and cost is always manageable. Update: number two is out of braces in record time. Compliance is everything. Big thanks to Dr Teeters, Dr Davis, Dr Womack, Diana (who feels more like a friend than just business) and the techs and admins who have made this a great experience. Especially, Irene who removed the braces today!